Code and Touch or the surface-mounted Transponder solution. 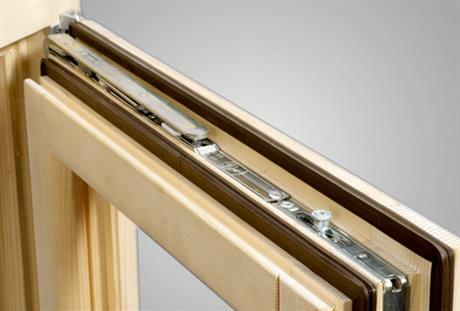 The patented ball bearing of the axle pin prevents the door sash from dropping. 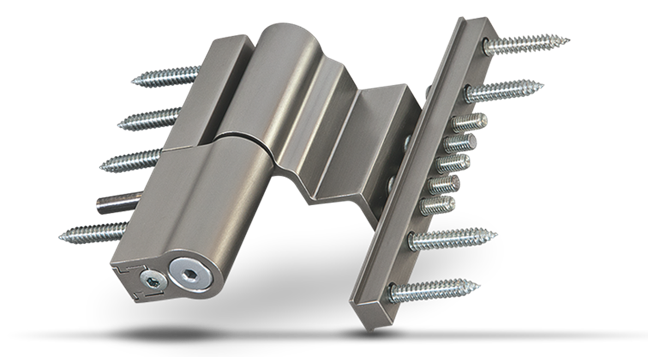 The ball bearing is used in all three hinge types of the PRO-DOOR range. 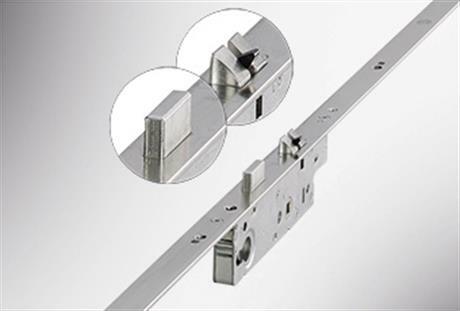 The door falls into the frame and interlocks automatically (including the deadbolt) without operating the key. 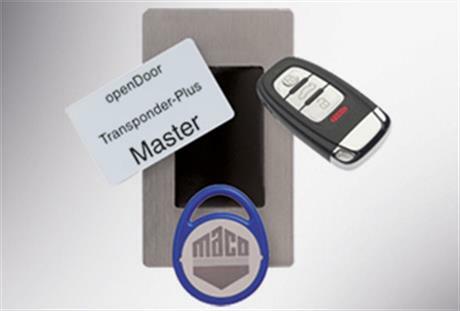 The motor positioned at the door lock takes charge of withdrawing the deadbolt and latches to open the door. 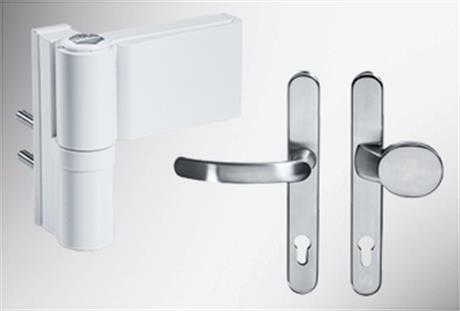 For keyless locking and opening of the front door with optimum gasket compression over the entire height of the door and ideal thermal and sound insulation. The withdrawal of the lock elements is triggered by a motor. 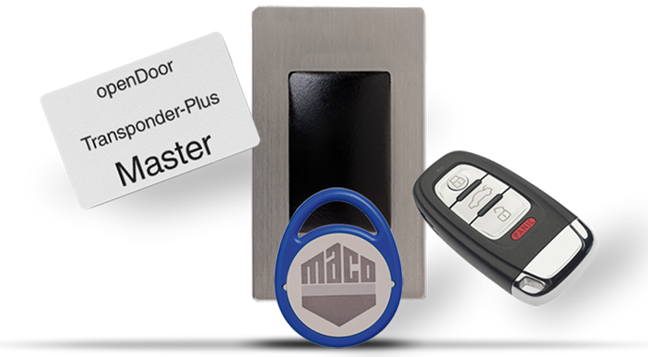 In combination with the MACO access control system, openDoor, the door lock offers the ultimate in operating convenience. 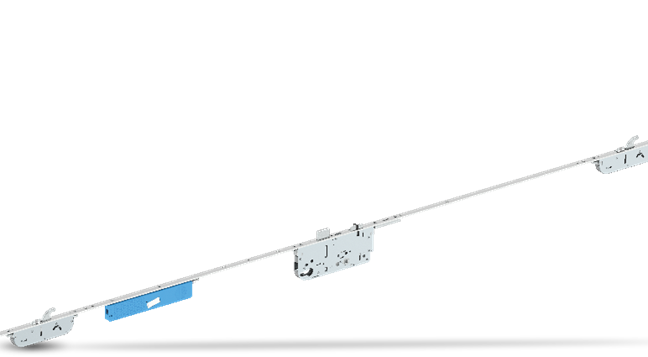 Partially-concealed aluminium door hinge with patented axis pin for stylish PVC front doors with a sash weight of up to 100 kg. The long term performance has been tested using a sash weight of 120 kg.